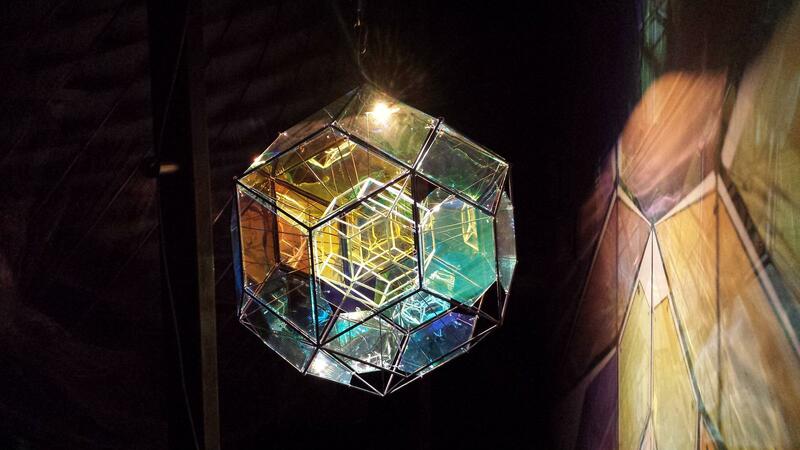 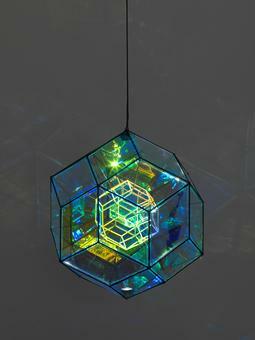 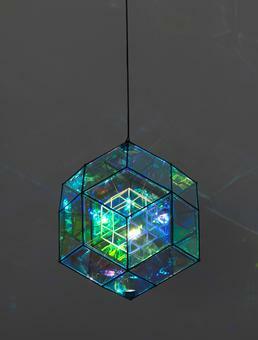 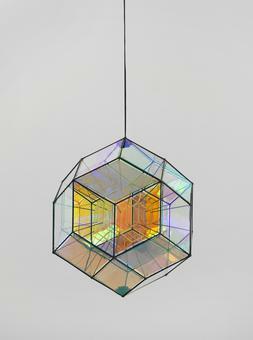 Small rhombic core lamp, describes a rhombic triacontahedron – a convex polyhedron made up of thirty rhombic faces – with a smaller copy of itself suspended at its core. 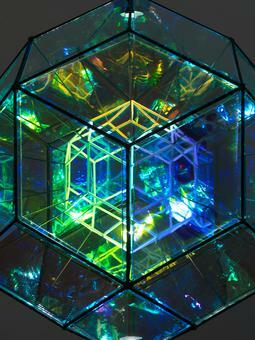 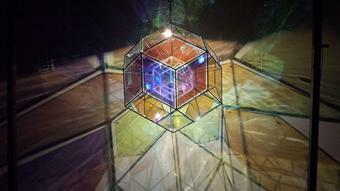 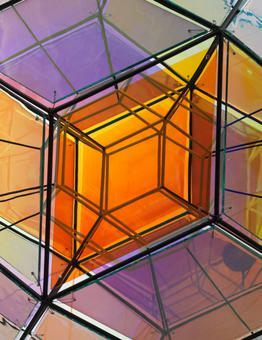 The outer skin of the artwork is formed by panes of hand-blown colour-effect filter glass in a variety of pale shades. The central polyhedron, which is painted white, contrasts starkly against the dark burnt tone of the outer framework, and the two are connected via struts that link each vertex of the inner form to its corresponding vertex on the outer shell. LEDs located at the poles illuminate the central polyhedron and project complex patterns and coloured shadows onto the surrounding space.